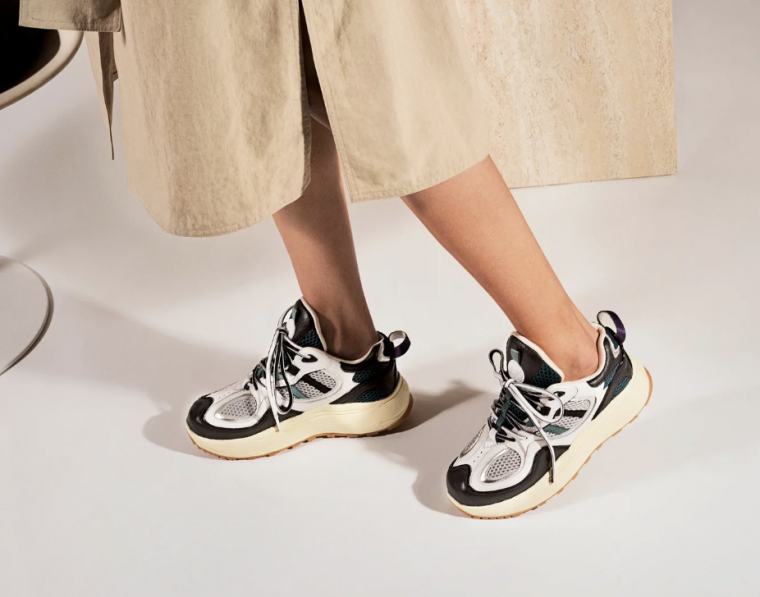 Luxury Swedish unisex brand made a mark on the fashion and footwear in 2018 and the brand is back with a new silhouette for boundary-pushing fashionistas. 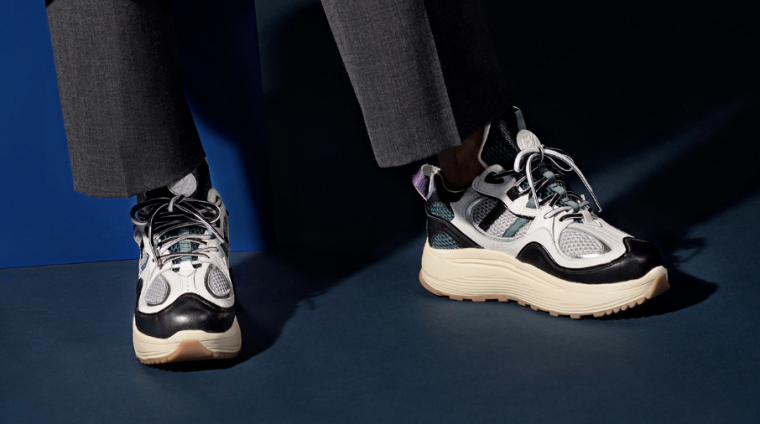 Riding off the back of the widely popular Angel Platform Lace Up Chunky Shoes, the new Jet Turbo silhouette is just as much dad, but more trainer. 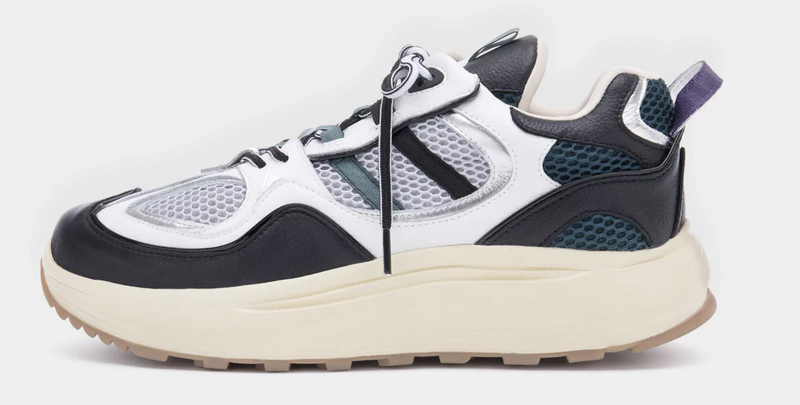 Coming to us in an official Turbo White, this selection is made from cow leather, cow suede and PU leather in black, white and silver. This is layered on green and white polyester mesh. These retro colours are taking us back to the Eytys for sure! Midfoot, thin green and black sidestripes draw your eye, with a slice of silver bringing the shine to the muted vintage palette. Underfoot, a chunky rubber sole in an off-white colour gives arch support and sits 3.5cm high, with the heel coming in at 4.5cm tall! The double line of grooves midfoot bring some texture, while a slim gum outsole ties in with the neutral tones. The tonal retro theme continues up top: two tone nylon laces snake through metal eyelets and a forest green central unit up to a white rubber circle detail at the top of the tongue. A purple pull tab brings yet another colour contrast, but stays within the retro theme. 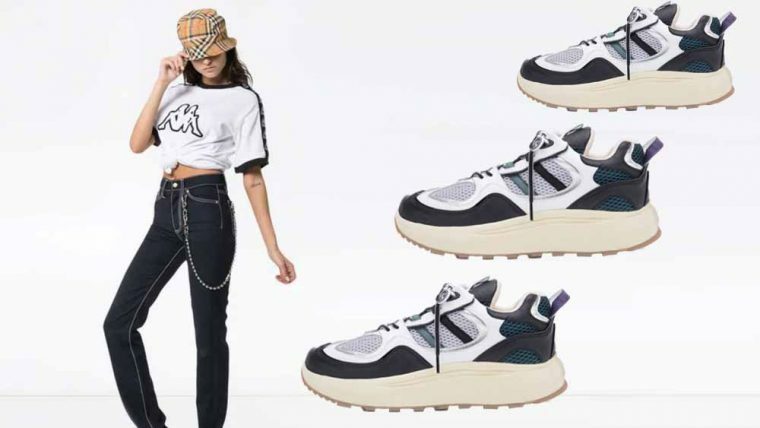 We think these sneakers will work perfectly with a retro inspired look. 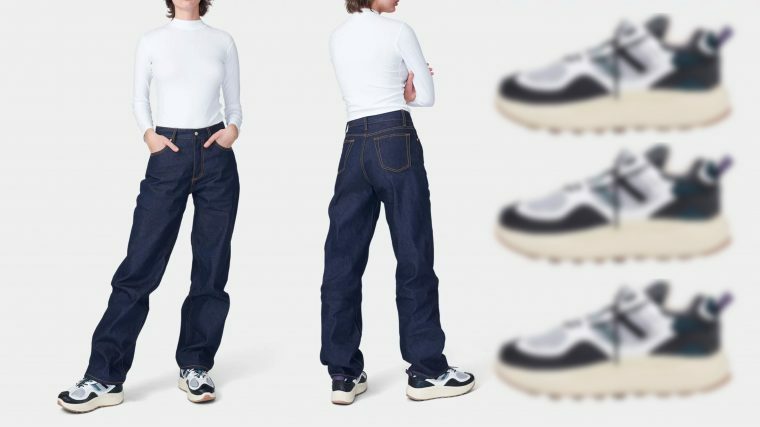 Why not try some of the pieces from Eytys’ latest collection? We’re thinking slightly flared high waist jeans, a graphic band tee and a mini rucksack. Check out our styling guide below. Kappa Tee | Available at End. 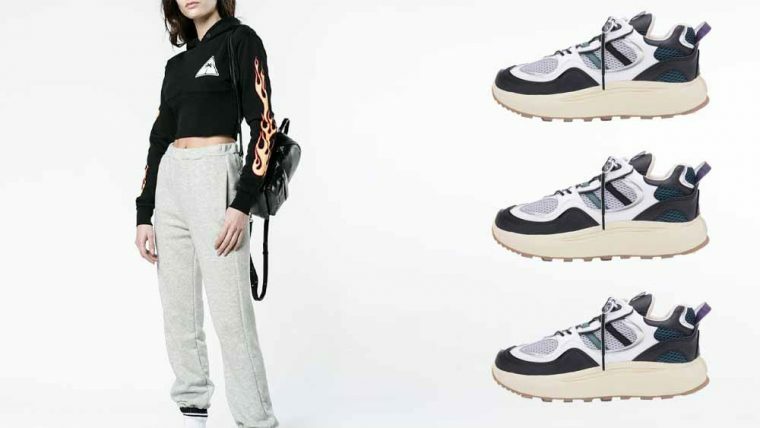 The Eytys Jet Turbo is available to buy now from Farfetch. 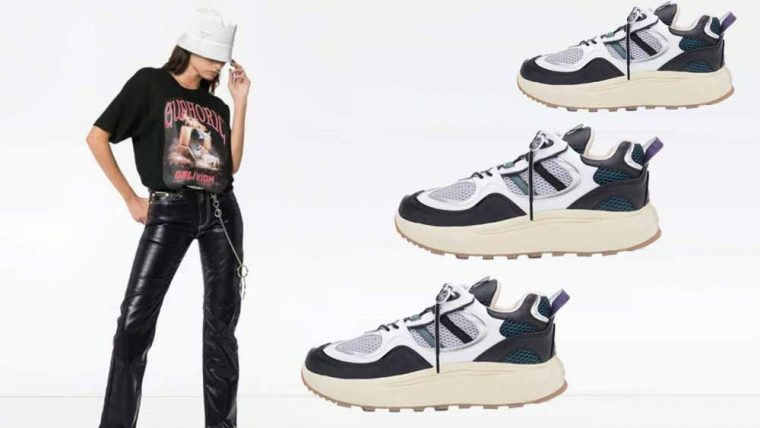 Will you be adding these chunky dad trainers to your collection? 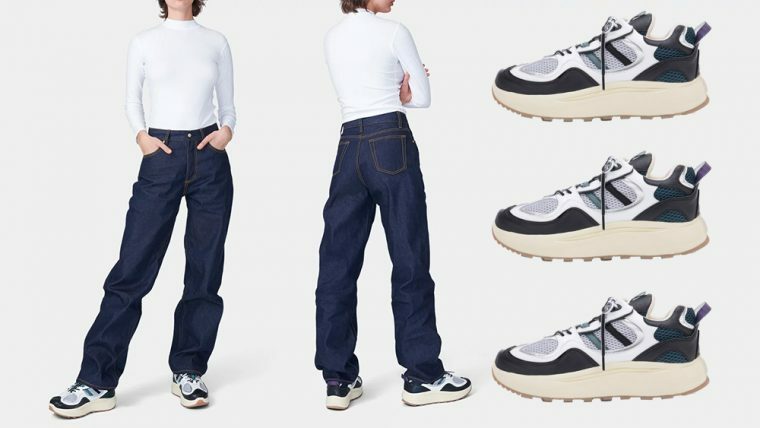 How will you be styling them? Drop a comment below and tag @thesolewomens on Instagram to share your dad shoe-inspired fits. In the mean time, keep it locked to The Sole Womens for more sneaker and style updates!